Hearts moved six points clear at the top of the Scottish Premiership as Jim McIntyre suffered a 3-0 defeat in his first home match in charge of Dundee. The visitors had the game sewn up inside 14 minutes thanks to goals from Oliver Bozanic and Steven Naismith before Steven MacLean added a third, 20 seconds into the second half. Calvin Miller's penalty miss summed up Dundee's night - the on-loan Celtic left-back drove his effort several yards wide with the goalkeeper diving the wrong way. McIntyre had seen his side concede four goals from set-pieces in his first match and another was to follow inside two minutes when Lewis Spence fouled Harry Cochrane 25 yards out. Bozanic was a picture of concentration as he lined up his shot and the Australian duly curled the ball over the wall and into the bottom corner past former Hearts goalkeeper Jack Hamilton. Hamilton was among four players drafted in by McIntyre, along with Darren O'Dea, Jesse Curran and Elton Ngwatala, but there was no sign of improvement from Saturday's 4-0 defeat at Livingston and Hearts broke clinically to move two ahead. Michael Smith emerged with the ball as several Hearts players descended on Ngwatala to dispossess the midfielder midway inside the Hearts half, and the right-back received it again down the flank after a flurry of sharp passes. His low cross eventually fell for Naismith at the back post and the Scotland striker converted his 13th goal of the season with Hamilton stranded. 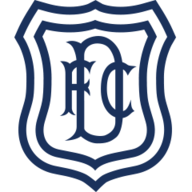 Dundee were handed a lifeline midway through the half when Craig Thomson pointed to the spot after Jimmy Dunne went through the back of Benjamin Kallman following a cross. Despite former Scotland forward Kenny Miller being on the park, it was his namesake who stepped up to take the penalty. Calvin Miller had come close to his first senior goal earlier with an angled drive but he was well off target. MacLean twice came close in the latter stages of the half - firstly chipping the ball off the underside of the bar after a long spell of Hearts possession in and around the box. And he was denied by an excellent stop from Hamilton after being set up by Naismith's back-heel after Dundee had gifted the visitors possession. The former St Johnstone striker was on target immediately after the restart when he tapped home Callum Morrison's square ball. 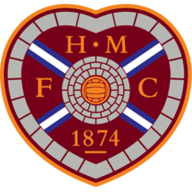 Hearts were able to conserve energy ahead of Sunday's Betfred Cup semi-final against Celtic as they strolled through the rest of the game, although Arnaud Djoum and Naismith came close. The second half was played in a subdued atmosphere with the home fans finally treated to a shot on target in the 88th minute when Zdenek Zlamal saved comfortably from substitute Roarie Deacon.